BOQ is committed to an inclusive environment where differences are embraced and where we all belong and feel valued – regardless of our background, beliefs, and personal circumstances. We believe in harnessing different perspectives, insights, abilities, and experiences in our workplace which in turn allows us to think differently to transform BOQ for the future. Our approach to inclusion is designed to achieve amazing results for our people, customers, shareholders, and communities to be Australia’s most loved bank. It is important for us to ensure that our diverse workforce reflects the community and our customer base comprising people of various ages, cultural backgrounds, sexual orientation, or accessibility needs to ensure a truly inclusive culture. Additionally, we aspire to ensure a gender balance at BOQ, particularly at senior levels. BOQ has in place an Inclusion Council which is chaired by the CEO and Managing Director and consists of all members of our Executive Committee. This Council is responsible for overseeing and governing implementation of BOQ’s Inclusion Strategy. BOQ currently has several inclusion networking groups in place including WIN (Women’s Ignite Network), as well as a Domestic and Family Violence Working Group. We also have a RAP (Reconciliation Action Plan) working group to guide our commitment to our vision that all Aboriginal and Torres Strait Islander peoples and communities are afforded equity, dignity and respect. At BOQ, focusing on gender diversity through expanding the representation, engagement and development of women in leadership roles is a priority. We are very passionate about advancing and supporting women in the banking and financial services industry. Our goal is to have 50/50 gender diversity in leadership positions by 2020. The importance of gender diversity for us is reflected in our policies, procedures and practices including recruitment and selection, talent identification and development, career development and learning, flexible work practices, pay, promotions, the forms of leave available to our employees, and retention. 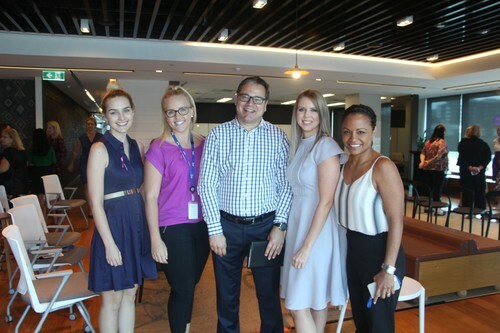 As a result, BOQ is well known for its inclusive workplace initiatives and becoming a Work180 Endorsed Employer was a great opportunity to showcase our commitment across the market in building a diverse workforce and inclusive culture.